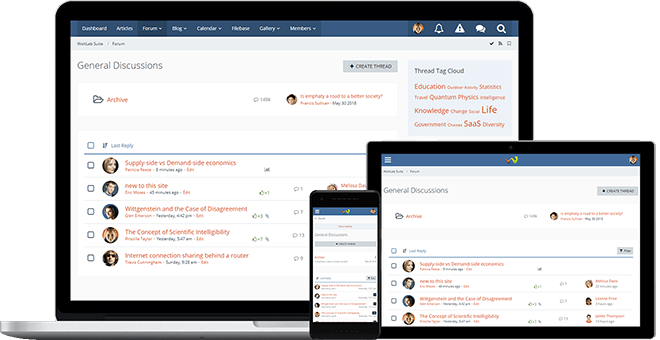 Awarded as the best forum software multiple times, our forum solution “Burning Board®” provides an unparalleled experience for users and administrators alike, giving your community a worthy place to stay, discuss and share. You can't buy success, but you can pick the right tool. Every site is different and unique, requiring a different set of features to suit their community best. The official Plugin-Store offers thousands of free and paid plugins to customize your site's experience. All submissions are audited for security and stability. Join the discussions and look through the available plugins and styles. Got questions? Ask them on the forums!